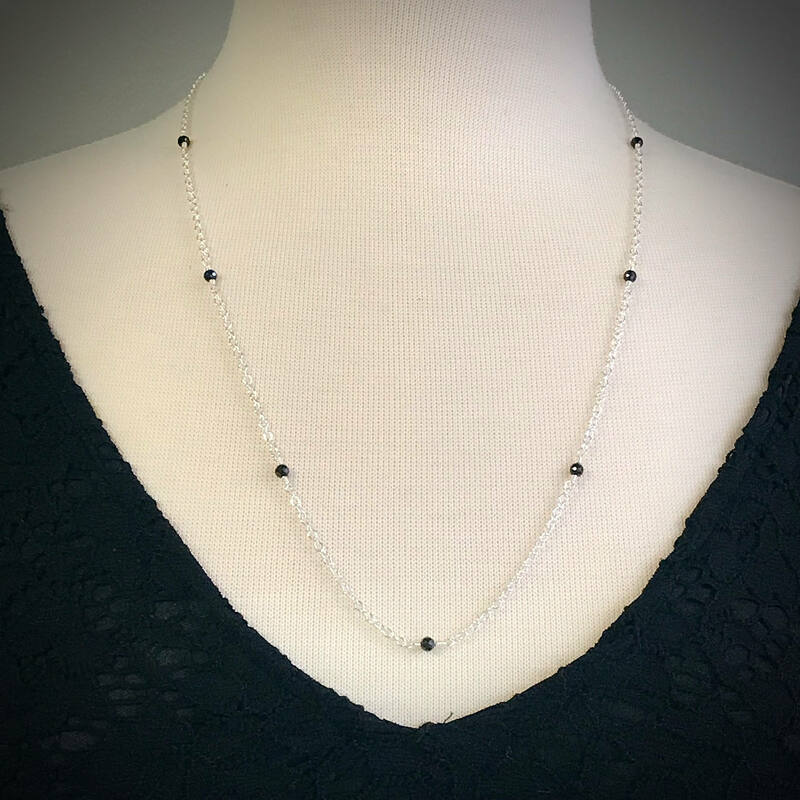 This delicate necklace features nine round faceted black spinel beads. Each 3.5mm bead is hand wrapped with sterling silver wire. 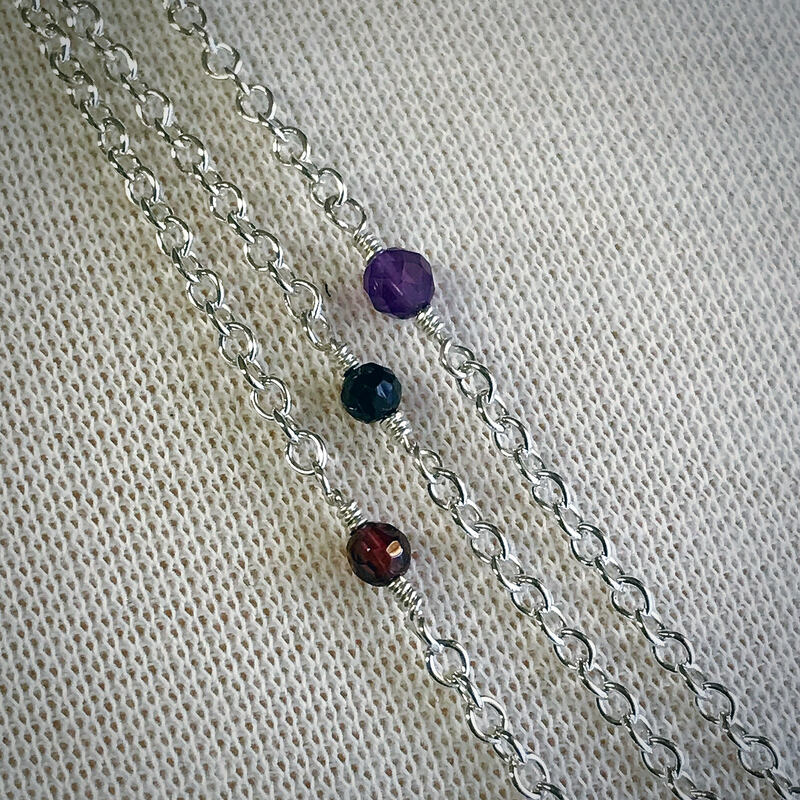 Sterling silver cable chain connects each bead. The clasp is a sterling silver lobster claw. Wear alone or layered with our other gemstone necklaces. 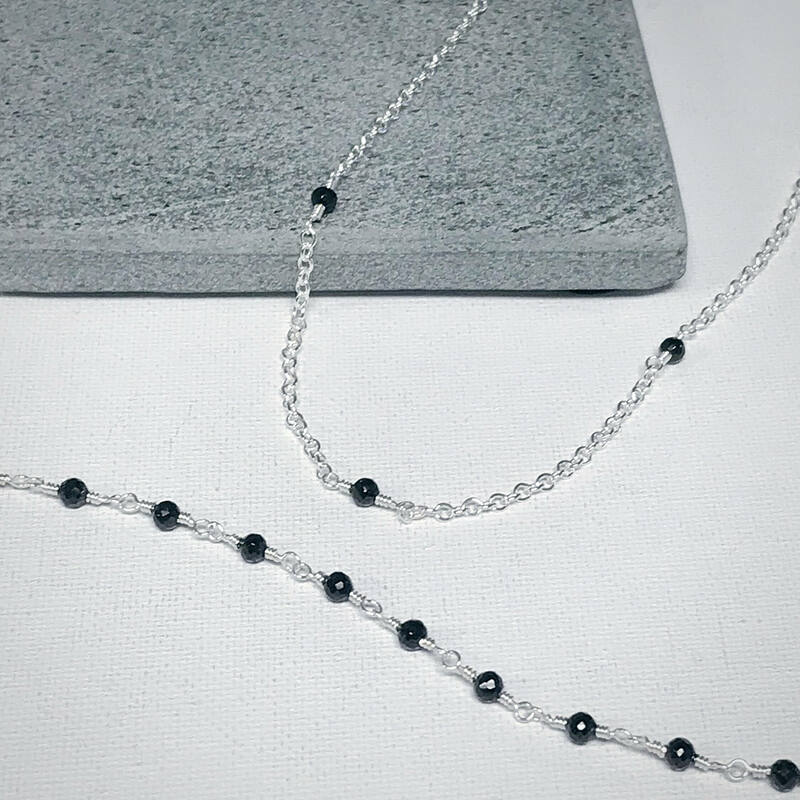 This necklace makes a beautiful gift when paired with our black spinel bead chain bracelet. 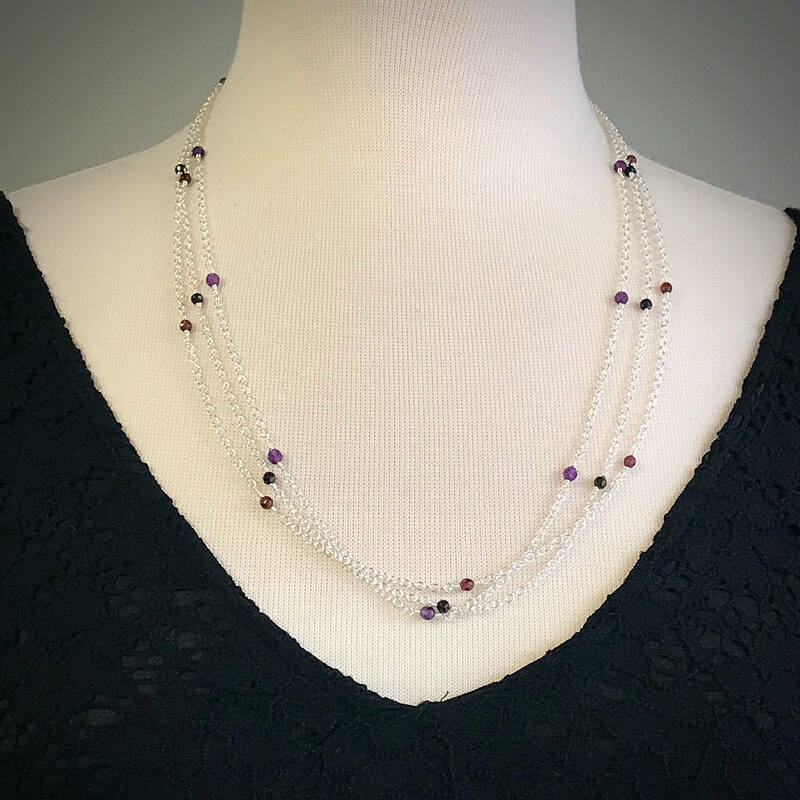 This lovely necklace measures 25.5 inches and is also available in garnet and amethyst.